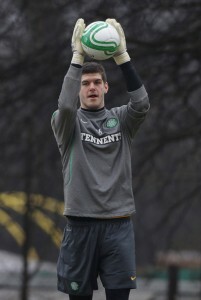 News today that Celtic have made a £1.5M bid for Newcastle United goalkeeper, Fraser Forster. Alan Pardew had talked in the press earlier this year about a possible £2M bid coming from Celtic, for the 23 year-old Hexham-born goalkeeper, and Alan said he would turn that down, so we expect this bid to be given short shrift. Alan said that when Fraser returned he would be subject to a much different type of football in England and a much higher class. It even seemed at the time that Alan had regretted the fact that Fraser had spent the season up north. Of course th,at hardly made any friends in Scotland, and we have to assume there are no real targets up there for the club this summer, otherwise those statements could have adversely affected the ability of Newcastle to bring any Scottish targets south. It’s clear that Celtic need a top goalkeeper for next season, but ti seems highly unlikely that Pardew would sanction another Forster loan north of the border, so the best chance for the Glasgow giants is to try to sign the player permanently. Fraser makes a habit of keeping clean sheets and had 25 clean sheets in 44 appearances for Celtic last season, and seems to have greatly impressed the Celtic manager, although he has yet to make his first team debut for Newcastle. It seems that James Perch has those same feelings about sitting on the bench, and he’s not been happy at not playing on Tyneside, and now apparently wants to return to a Championship side and play games – there’s absolutely nothing wrong with that sentiment. Alan Pardew meant it when he said he had not yet decided who will be number one goalkeeper at Newcastle next season, and of course it’s between Tim Krul, the full Dutch International now after playing so well for Holland against Brazil and Uruguay this summer, Fraser Forster, and current number one Steve Harper. In our poll on the home page down the right hand column, the poll for who should be number one goalkeeper next season shows that Tim Krul has 53% of the vote, Fraser has 24%, Steve Harper has 18%, and 5% are still undecided. That’s with over 17000 votes cast, and the poll is still open if you want to register your vote. Bottom line, there seems no way that Alan Pardew will accept a £1.5M offer for Fraser Forster. I wouldnt mind keeping this lad. Seems £1.5M isnt nearly enough given his potential. Forster wants 1st team tho doesnt he? Neil Lennon is a thug. Well then they should expect to have to pay a decent wedge for the lad. Craig Gordon went for 10M from Hearts i think. Im not saying we need to take the urine but a few million squiddly diddlys isnt too much to expect surely? Unless ofcourse Pardew plans to keep Forster and relegate either Harper or Krul to third choice keeper. Cant see Krul standing for that given hes in the Dutch squad now. My thinking is that it’ll be Harper first choice, Forster as back up/sub keeper, and Harper will play in the cup games. Seems mad but i think we need to bring these keepers on and give them their chance this year. Harper wont be here much longer and it’s not like he’s world class anyway. Corrected it just before i got my comment in! It’s going to be tough to keep Krul and Forster happy. Interesting to see who gets the shirt. 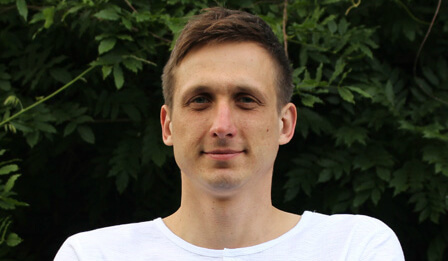 Cwarr still hasnt shown his face on twatter after predicting a new signing to be revealed yesterday…. Just read this morning that England’s U21 left back, Ryan Bertand has only a 5Mill price on his head. He’s behind Ashley Cole and Van Annholt (just signed a new contract) in the pecking order and If Chelsea are only asking 5 Mill then we could probably offer 3.5 – 4 Mill and have our new left back. Loads of potential and young enough to be resold for many more happy meals. Thing I like about Krul over Harps is the way he distributes the ball a lot faster and with our style of play next year this will be even more beneficial. 1 step closer to somehow getting sturridge to put on a black and white Jersey? I’ve been up with the bairn all night! She’s been I’ll..
Bad mood this mornin like! I’m taking it out on Mike Ashley! I’m not an Ashley fan but calling the guy a fat prik isn’t going to make him want to rush out and buy us a centre forward. Cant blame Fraser wanting first team football, and good luck to him. Especially with Robert Green now linked as well! It is a fact Ashley is fat, as is most people opinion he’s a prik………………..So it works for me until he proves us otherwise! I’ve been watching Cwarr07 closely on twitter for a while now to see whether he actually does have any powers of prediction. So far? Not a shred of evidence to suggest he does. Along with numerous predictions that simply haven’t come off. The lad’s a chancer, so the easiest thing is to add him and then take the p*ss out of him. Much more fun that getting your hopes up on his random guesswork and re-working of newspaper rumours. Still none of the Andy Carroll money spent yet..
Hope he proves me wrong and buys some top drawer players to take us to the next level..
Rather keep Forster than spending on cash on bringing owld blunder-gloves to the toon. Select Newcastle from the dropdown list. You just have to sort the wheat from the chaff! They have predicted pretty much all our signings before they happened, so some eliment of truth and the banter is good. Mind Celtic fans are split in their opinion of wor Fraser! Please say it isnt true about Robert Green being linked with the toon. Jesus, he almost single handedly got West ham relegated last season after a spectacular ‘warm-up session’ in front of the world last summer in South Africa. He is garbage, and couldn’t catch the clap in greys club. for me its Krul number 1 Forster number 2, until FF does enough to force himself in on merit. There is a big difference between facing Didier Drogba Fernando Torres and Wayne Rooney, compared to the renowned strikers up in tartan skirt wearing tranvestiteville, such as Kyle Lafferty (ha ha ha ) Hamish McPorridge and Shuggy Macdougal. Play whoever is doingthe job best, and not who is the longest servant. Simples. I don’t rate him, but to be fair most Hammers fans will tell you he was one of their best players last season. Kept them in some games single handedly. But obviously it’s nonsense linking us with him. I work in the East end of London sometimes and they rate green very highly, and would be gutted to see him leave. My opinion, and it’s only my opinion is he would freeze in the big stadium and pressure of St james. Last season I though Harps was the best keeper at the toon, and I havn’t seen anything to change my mind.